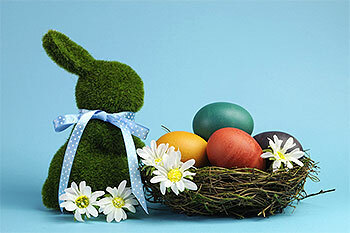 Today, with all its joyous customs, Easter is indeed a major popular festival across the United States. A festival that has become more of secular in spirit, though it has religious background. However, this was not the case all along the history of United States. Easter did not enjoy the status of a popular festival among the early settlers in America. Because most of them were Puritans or members of Protestant Churches who had little use for the ceremonies of any religious festivals. Even the Puritans in Massachusetts tried their best to play down the celebration of Easter as far as possible. While various rites are said to be associated with the celebration of Easter, most of them have come as part of the ancient spring rites in the Northern hemisphere. Not until the period of the Civil War did the message and meaning of Easter begin to be expressed as it had been in Europe. It was the initiative of the Presbyterians. The scars of death and destruction which led people back to the Easter season. They found the story of resurrection as a great source of inspiration and renewed hope. Since then, of course, its joyous customs delight children and adults alike.